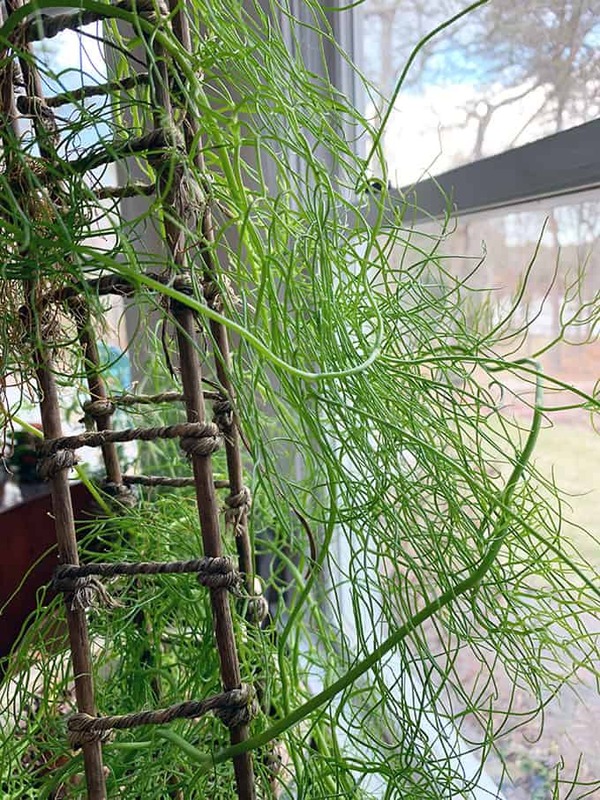 Looking for a pretty and unusual plant for a sunny window? Do you want a plant that grows on a support so it can be planted in small spaces? Have I got a plant for you! 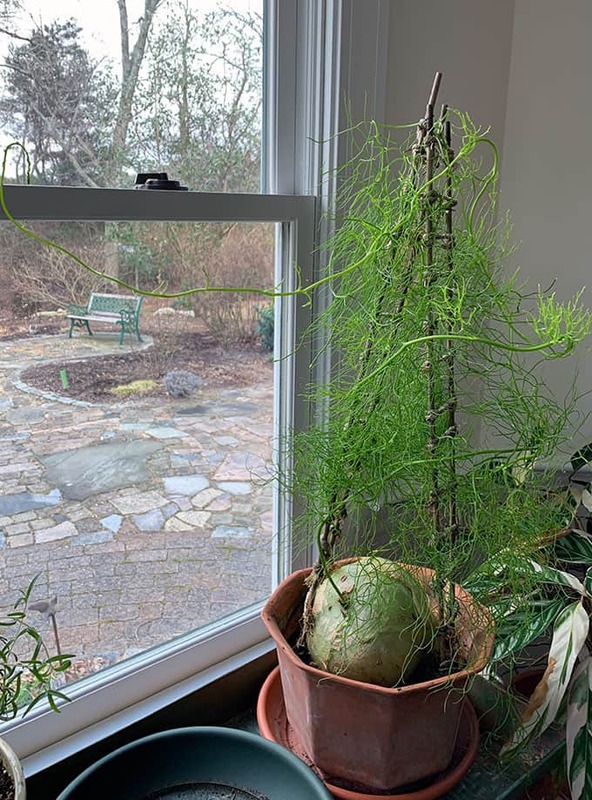 Why I Love/Hate this plant: I love this plant because the contrast between the big, shiny bulb and the lacy foliage is interesting. 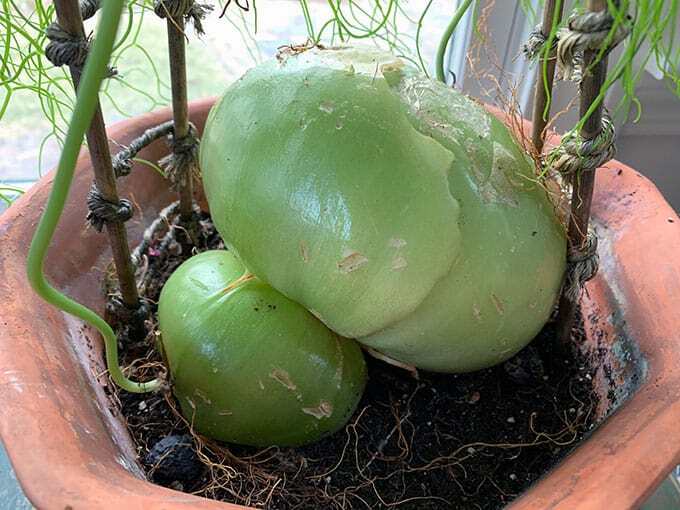 I also love that it’s an easy plant to grow…it will thrive in a window with an eastern, western or southern exposure. A Word to the Wise Let the soil go dry between waterings for this plant. It’s a good plant for people who occasionally let a couple of weeks go by before they water their plants. Don’t keep the soil too wet or the bulb might rot. 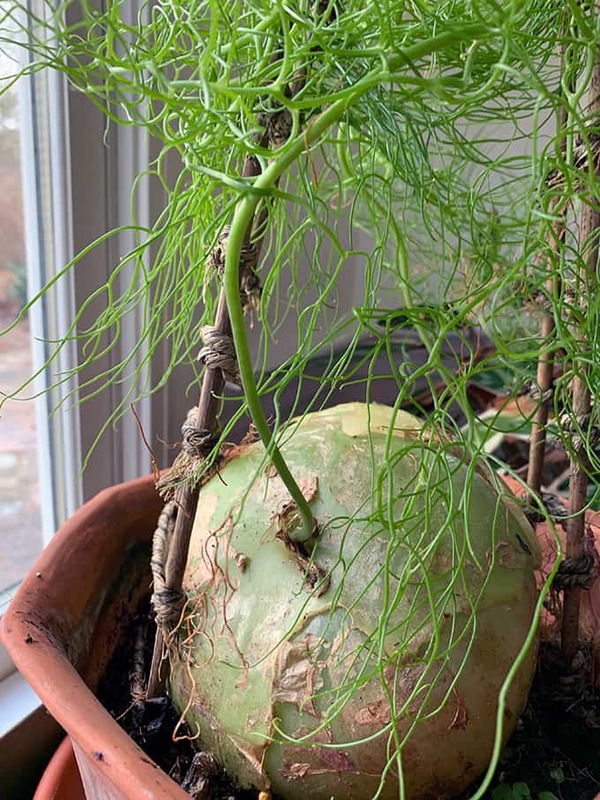 The foliage on a climbing onion is often trained up a trellis or other support – you could grow it in a high location where it hangs down as well. I love the contrast between the bulb and the fine foliage. Know that the plant often goes through a dormant period – if you see the foliage drying up, the plant is probably just going into a regular dormancy. Clip off the dried stems, ease off on the watering, and wait until the new shoots appear. Sometimes this happens right away, and other times the plant rests for a month or so. Just be reassured that when you see this happen, the climbing stems will return. It seems amazing that so much foliage up on top comes from one stark that’s shooting out the bulb. This photo shows why thisis a “pass along plant.” It makes new ones!